The Employee Health Services Division of Human Resources recently teamed up with the Sheriff’s Office for an 11-week weight loss challenge as a fun and different way to promote employee wellness. The challenge, titled “Beat Your Majors,” encouraged healthy eating, exercise and weight loss. The participants were enticed to participate by earning the chance to be called ” The Biggest Loser.” The “cash pot” (a sum of all participants five-dollar fee) was additionally awarded to the team losing the most weight. A prize was also awarded to the individual that exercised the most minutes and to the individual who lost the most weight. To add a little rivalry to the challenge, Jail East competed against Jail West. Major Sandra Johnson led the Jail East team against her fierce competitor Major Ann Felton, leading the team at Jail West. The participants were placed into groups based on platoons and the divisions in which they are assigned, had their weight recorded and their blood pressure checked. Participants received weekly emails about healthy eating, healthy snack ideas and meal options, along with education on hypertension and diabetes prevention. Participants were also offered one-on-one counseling sessions if they desired additional information to help create a healthy lifestyle. At week six, participants were weighed, and their blood pressures were checked again. At this point, the competition was heating up and friendly bantering was in full effect. The results between Jail East and Jail West were neck and neck, and many participants saw positive weight loss and improved blood pressure readings. November 15th marked the final weigh-in day. Eleven weeks of hard work, eating right, and exercise culminated with one quick step on the scales and one last blood pressure reading. The results were impressive! 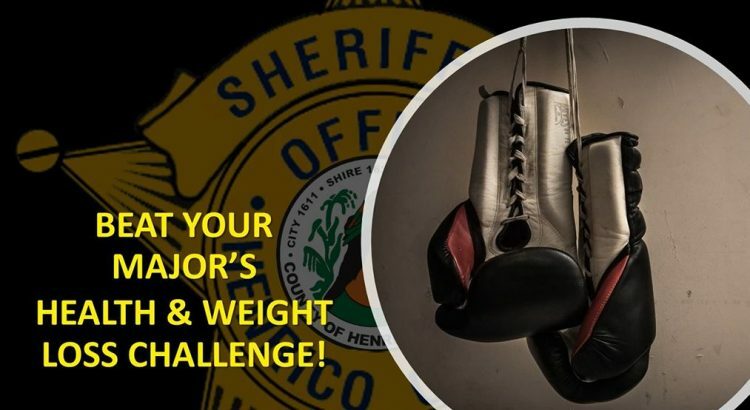 The Henrico County Sheriff’s Department rocked the “Beat Your Majors” weight loss challenge! Jail East took home the title for the percentage of most weight lost by a team with a whopping 15.4% of overall body mass. A Jail East participant also took home the title of Biggest Loser with a weight loss of 40 pounds. A Jail West participant raced into first place for most minutes exercised with 2186 minutes. This translates into almost 200 minutes a week! 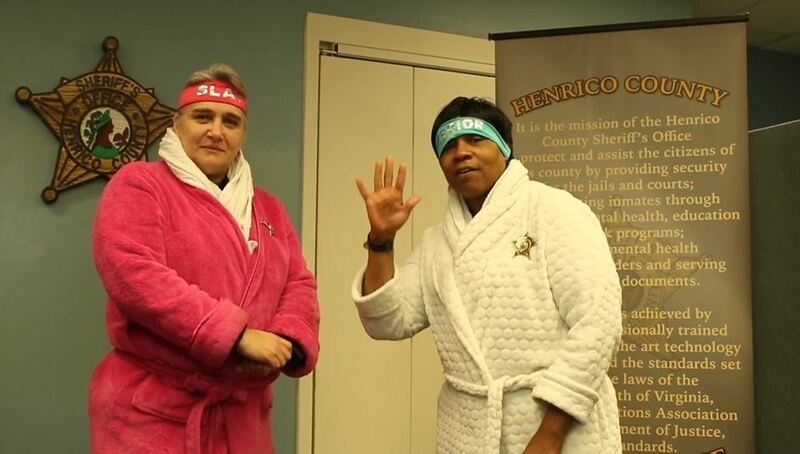 It was a great effort by the members of the Henrico County Sheriff’s department who participated in the challenge, and a stellar effort by their team leaders, Major Johnson and Major Felton! Following a healthy diet, losing excess weight, and regular exercise are well-documented ways to improve blood pressure and lower risk of developing diseases like diabetes and heart disease. Not only did many participants watch pounds drop off, they were given opportunities to help create healthy lifestyle changes. Additionally, participants with elevated blood pressure readings were counseled on ways to help lower blood pressure, and some were referred to their primary care physician for treatment. This competition is just one example of Power Henrico in action! Henrico County is committed to empowering our employees to be well. Employee Health Services (EHS) is available to help your department create a weight loss challenge and/or provide education on health-related topics. Contact us at 501-1600 and see how we can help you have a healthier 2019!